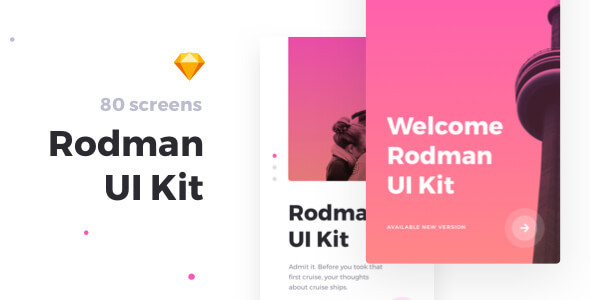 Rodman is a gorgeous mobile UI Kit with clean and light design. Packed with 80+ layouts in 7 categories it surely will help you to speed up your UI/UX workflow and create an outstanding experience. Each layout was carefully crafted using nested symbols.